In this file photo from Dec. 7, 2017, Rep. Jim Jordan, R-Ohio, is seen in Washington DC. Republican Rep. Jim Jordan is running to replace House Speaker Paul Ryan, who is not seeking re-election in November. The Ohio representative told members of Congress in a letter Thursday about his intention to run for the leadership position. "President Trump has taken bold action on behalf of the American people," Jordan, a founding member of the House Freedom Caucus, wrote. "Congress has not held up its end of the deal, but we can change that. It's time to do what we said." Speaking to reporters on Capitol Hill, Jordan said of his announcement, "We think there are some things that need to be changed. ... The main thing is we need to get refocused on doing what we said we would do." Ryan announced in April that he is retiring, saying he would end his 20-year career to spend more time with his family. He didn't immediately respond to Jordan's announcement, but he had previously thrown his support behind House Majority Leader Kevin McCarthy, calling him "the right person" to take over the leadership position. McCarthy and Rep. Steve Scalise are seen as chief contenders for Ryan's job. When asked about Jordan's candidacy, McCarthy told NBC News that he is "spending the time keeping the majority." Freedom Caucus Chairman Mark Meadows said in a statement that Jordan "would be a Speaker who would fight for real changes in Congress," calling him "one of the most honorable, thoughtful, and principled men I’ve met in Washington." "I fully support his candidacy," Meadows wrote. Jordan and 10 other House Republicans on Wednesday introduced articles of impeachment against Deputy Attorney General Rod Rosenstein, the Justice Department official who oversees special counsel Robert Mueller's Russia investigation. They say Rosenstein has not been responsive enough to House committees' requests for documents related to the investigation as well as a closed probe into Hillary Clinton's emails. 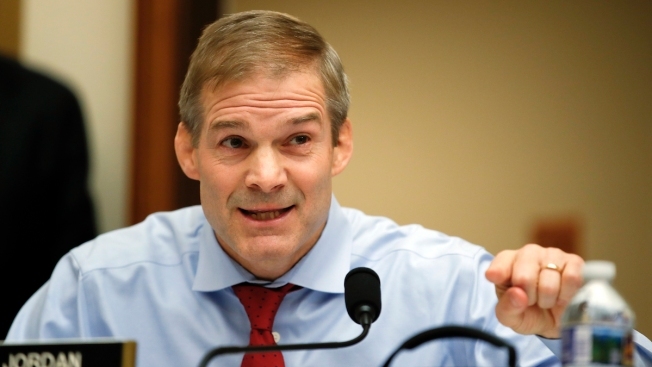 Meanwhile, Jordan was recently interviewed regarding the sexual misconduct allegations against Ohio State University team physician Dr. Richard Straus. More than 100 former students have provided firsthand accounts of sexual misconduct by Straus ranging from 1979 to 1997, and some wrestlers claim Jordan knew about the abuse when he was an assistant coach at Ohio State from 1987 to 1995. Jordan has denied those claims. When asked if the investigation might impact his run for speaker, Jordan said, "No, everyone can see through that story. I've talked to numerous of my colleagues, and they can all see through that story."